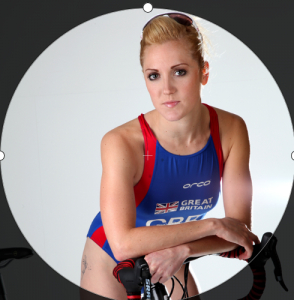 I have been a former National swimmer until aged 16, then talent scouted to the World Class programme for Triathlon where I was a UK Sport funded and TASS University scholar athlete at Loughborough University. 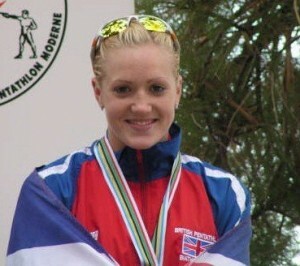 I have represented Great Britain for Triathlon at the World and European Junior Elite + U23 Champs. I have also been World Biathle Champion (run-swim-run) in 2007 and European champion in 2008. From there I graduated with a BSc Hons Sport & Exercise Science degree and went on the obtain a professional license to race the half ironman triathlon. My greatest achievement there was coming 3rd Pro female in Galway, 2013. Along with this I have achieved many other things, my four children being the greatest of them all! I have also managed to over come disordered eating which was a side effect of high stress and high performance expectations when I was an elite athlete. This has helped me to understand clients and in particular, female athletes on a much deeper scale. So much so that I have been fortunate enough to share my experiences and story across the country; NOW! magazine, The Telegraph, The Sun, Closer magazine, as well as appearing on This Morning Television and ITV Anglia News recently. I am also a Mobile Level 3 Deep Tissue and Remedial Massage Therapist. I trained for this qualification whilst at my time at Loughborough Uni, I studied in the evenings at Loughborough college. From there I undertook my qualifications for Levels 1 + 2 British Triathlon Coaching certification, as well as my Personal Training course. This entry was posted in Swimming by Natalie Lawrence. Bookmark the permalink.